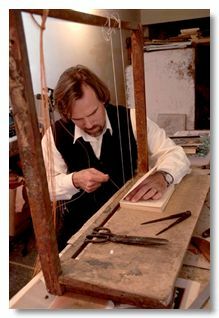 Leatherbound Book Works owner Michael Greer apprenticed and worked as a bookbinder in the North African kingdom of Morocco. 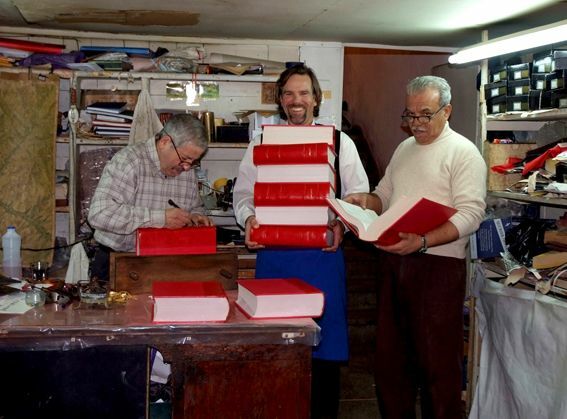 Nour-Eddine Doghmi's Atelier de la Reliure in Rabat is Morocco's oldest bindery. 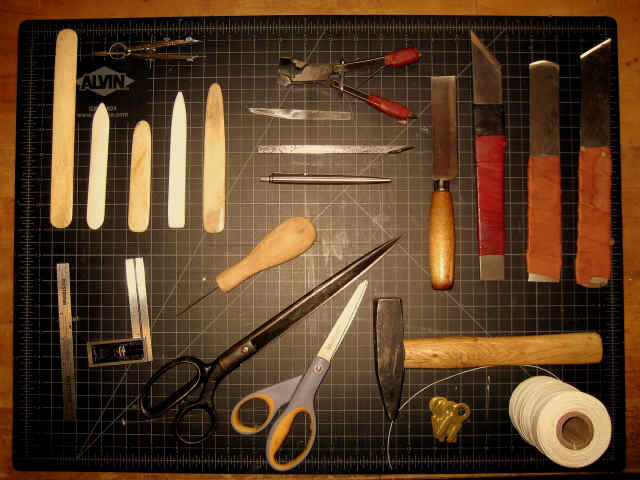 Abdelfetah Rahal, the master binder, started at the Atelier more than 40 years ago. The shop is the bindery of choice for the King, his ministries and the diplomatic community. In 2008, Michael returned to the US and opened his shop in 2009. Leatherbound Book Works, is located in Durham, North Carolina. Binder Michael Greer is a member of the Guild of Book Workers. In the winter of 2011 his one-man exhibit, Tree of Knowledge, was featured at The Upfront Gallery in the Bull City Arts Collaborative. He has also worked on several collaborative projects with Horse & Buggy Press, a letterpress studio located in Durham.